The mission of the Plainfield Chamber of Commerce is to provide services to the membership and promote business, economic development and involvement in the greater Plainfield area. 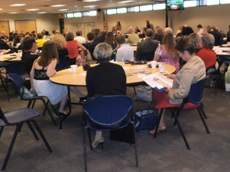 If you would like to be a guest speaker, please notify the chamber office at (317) 839-3800. Please bring business cards, marketing materials and calendars to be added to our contact list.